A summary of new music in Australasia and Oceania, in 5000 characters… So much to say, so little space! 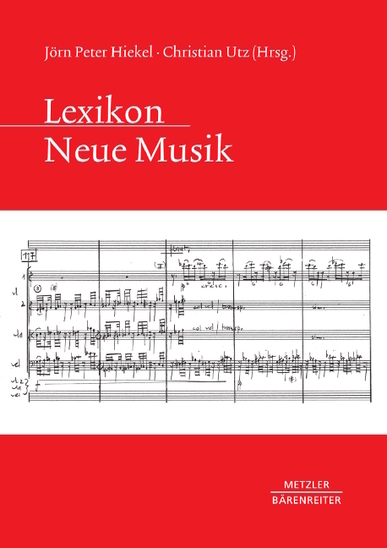 In any case, it’s now published in the Lexikon neue Musik [Encyclopedia of New Music], edited by Prof. Dr. Jörn Peter Hiekel and Prof. Dr. Christian Utz (Stuttgart: J.B. Metzler Verlag, 2016). This Storm Is Called Progress (2016), a dual-screen audio-visual installation created in collaboration with filmmaker Grayson Cooke, was recently shortlisted for the Waterhouse Natural Science Art Prize. The work was highly commended by the judging panel and will be exhibited at the South Australian Museum in Adelaide, 10 June – 31 July 2016. The project articulates the temporal and spatial disjunctions that underpin the Anthropocene, through juxtaposition of the “deep time” of ancient geological formations (the Naracoorte Caves in South Australia) with the technologically translated time of the anthropogenic present (Landsat images of Antarctic ice shelves). The role of sound and music in the installation is to affectively charge and temporally vectorise its non-human, non-sentient subjects. This renders the non-human in humanly accessible form, affording the installation’s audience immediate access to ecological phenomena – hyperobjects – that otherwise exceed and elude human ken. This is a vital social-ecological contribution that art can make in response to the multiple environmental crises that define our contemporary era. Anthroposcenes (1, 2), for voice and electronics, was commissioned by IEM and premiered by the wonderful counter-tenor Kai Wessel in IEM’s Signale series back in March. The concert featured works by Trevor Wishart and Karlheinz Essl – fabulous to be in such outstanding company! The piece itself is an ongoing exploration of the body-environment metaphors, in multiple languages, which underpinned Let x =, created while composer-in-residence at IEM in 2014-15.